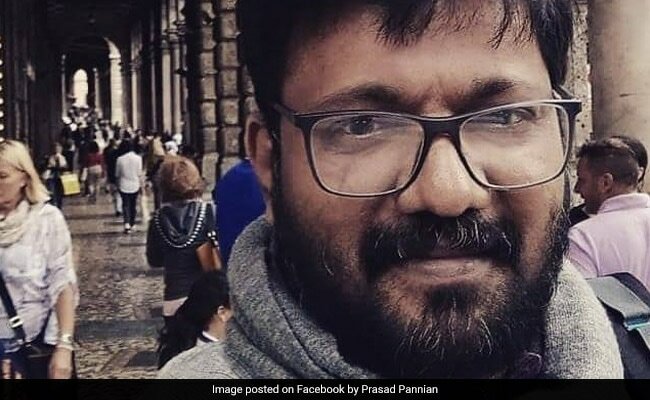 According to FEDCUTA, the suspension order has been served to Dr Pannian 'for criticising the university on a Facebook post over the legal and police action initiated by the university against a vocal dalit research scholar' is shocking. The FEDCUTA or Federation of Central University Teachers Associations demanded an immediate revocation of the suspension order served on Dr Prasad Pannian, who was suspended from the post of head of the Department of English and Comparative Literature at the Central university of Kerala, Kasargod. According to FEDCUTA, the suspension order has been served to Dr Pannian 'for criticising the university on a Facebook post over the legal and police action initiated by the university against a vocal dalit research scholar' is shocking. According to reports, a research scholar, Ganthoti Nagaraju, participated in a student protest in the university campus and unintentionally broke the glass of a fire hydrant. Dr Pannian, a statement from the teachers said, 'was protesting this precise act of criminalisation by the university and the police of this action of the student in the course of a democratic protest'. "This attempt to criminalise protest and dissent as a whole by the university administration deserves widespread criticism," the statement said. "Dr Pannian is an important scholar who in the context of his work on Edward Said brought out the role of dissent and democracy in shaping contemporary third world societies. It is most unfortunate and condemnable that his university administration instead of nurturing his sensibilities came down heavily on his defence of dissent and freedom to protest democratically," the statement from Federation president Rajib Ray said. The FEDCUTA also said it sees the suspension of Dr Pannian as an attack on the constitutional right of freedom of expression. It also demanded that the notorious CCS rules used for this purpose be immediately withdrawn.